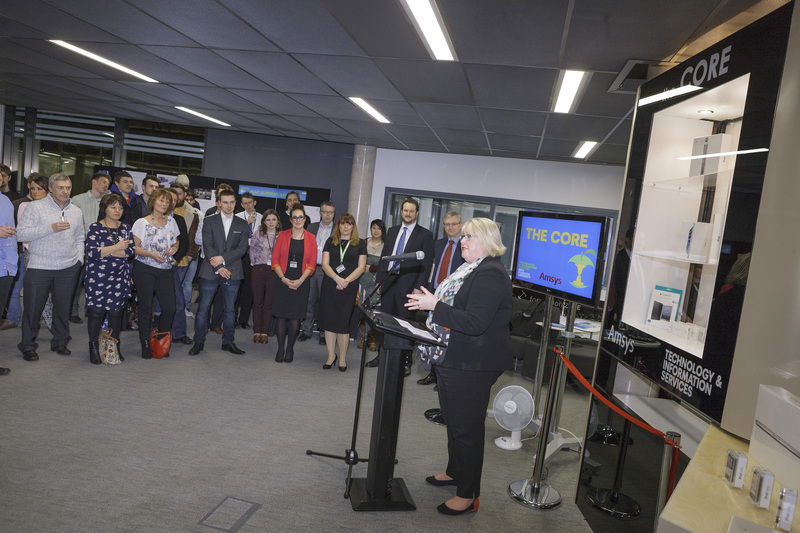 The launch of the CORE was a huge success with a great turn out from both students and staff representing several areas of the University. John Wright; CIO of Technology & Information Services started the evening by welcoming everyone and thanking them for attending the event, he then handed over to Wendy Purcell; Vice Chancellor of the University who gave an inspirational speech about the important of partnership and collaboration between the students and the University. Alex Hawes; Managing Director of Amsys finished the speeches by discussing the new partnership between Plymouth University and Amsys and the support both staff and students could expect regarding all Mac devices. Technology & Information Services would like to thank everyone who was involved in project and we look forward to more projects of this nature in the future. ‘the CORE’ is officially open. 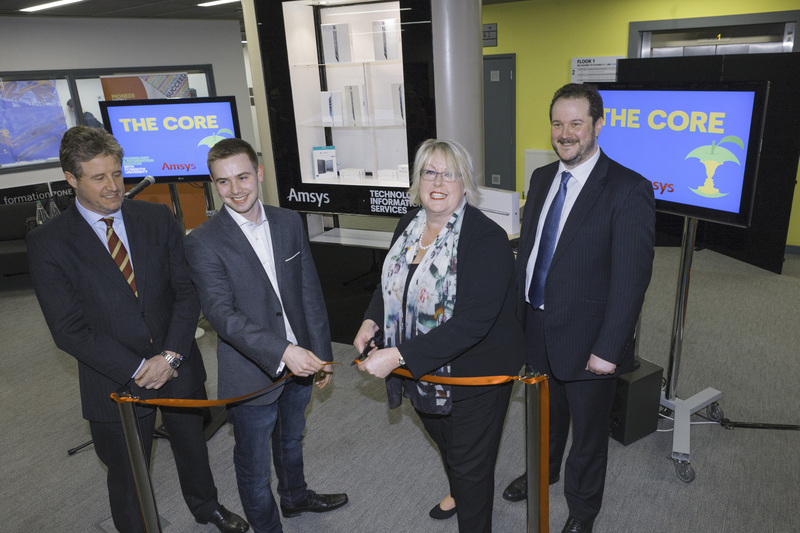 (L-R) Alex Hawes; Managing Director of Amsys, Nicholas Horsley; Winner of the Design and Build competition, Wendy Purcell; Vice Chancellor and Adrian Hollister; Head of Strategy & Architecture. Wendy Purcell delivering her speech on the importance of student involvement with University projects. 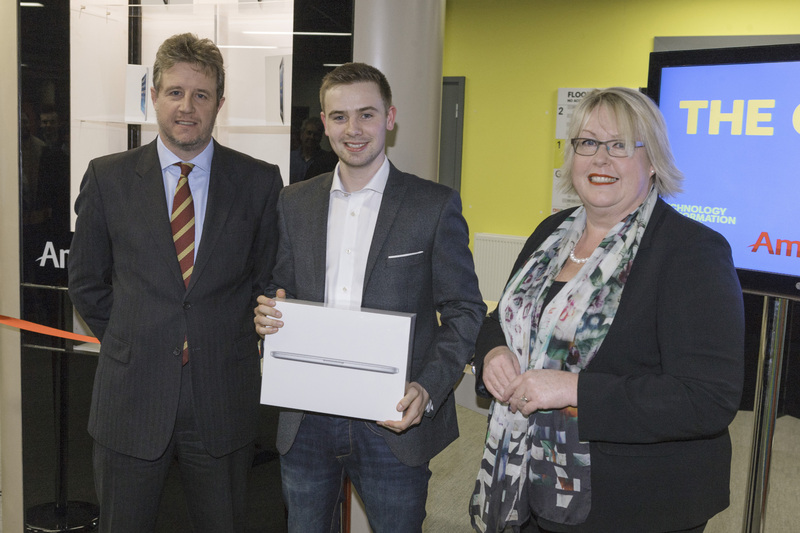 Nicholas Horsley, 3rd year Design student receiving a Mac Book Air for the submission of the winning design and build of the CORE presented by Alex Hawes Managing Director of Amsys and Wendy Purcell Vice Chancellor. 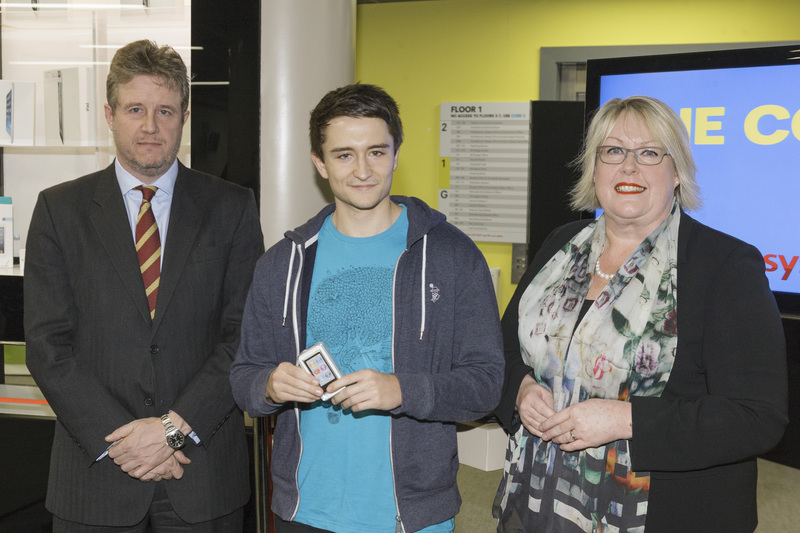 Thomas Riggs, 3rd year English and Creative studies student receiving an iPod Nano for the submission of the winning name. Presented by Alex Hawes Managing Director of Amsys and Wendy Purcell Vice Chancellor. Rose Jago, undergraduate English student receiving an iPod Nano for the submission of the winning name. Presented by Alex Hawes Managing Director of Amsys and Wendy Purcell Vice Chancellor. 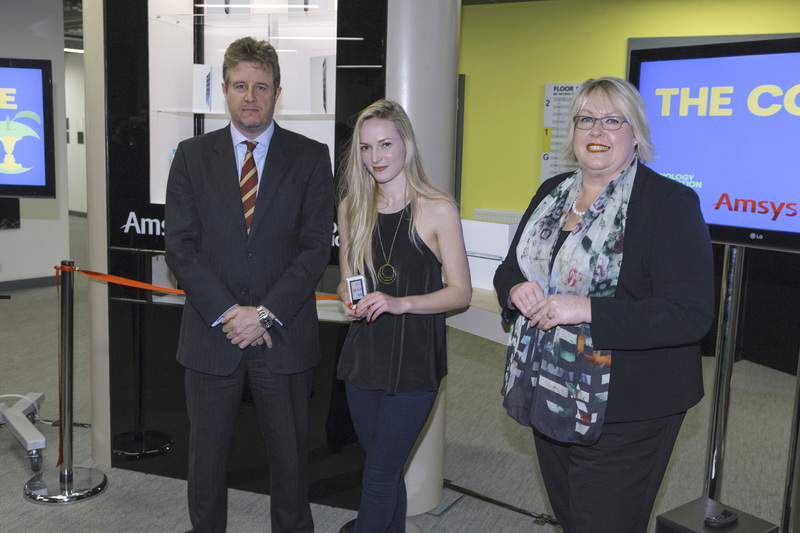 Jamie McKenna, History student receiving an iPod Nano for the submission of the winning name. Presented by Alex Hawes Managing Director of Amsys and Wendy Purcell Vice Chancellor.